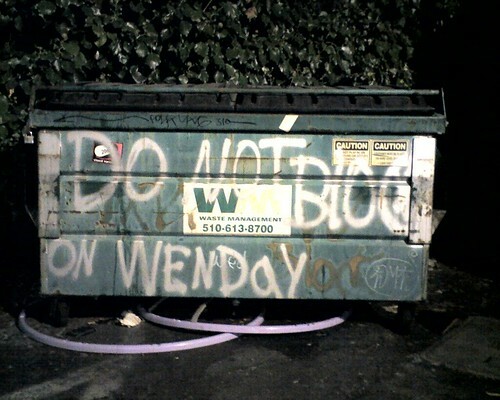 Do Not Blog On Wednesday?, originally uploaded by MissionMission. We were gonna blog this yesterday, but yesterday was Wednesday. Mission Mission ventured across the bay into Oakland last weekend, and on a trip to Hollywood Video to look for Season 3 of The Wire, stumbled upon this inexplicable item. Is this some kind of street-level effort to monkey with mass-media news cycles? We like teh creative spelling too.